Today is the day we've all been waiting for: the 40th anniversary of the Hyde Amendment! It's easy to be part of the celebration. Tweet using the hashtag #HelloHyde. Tweet photos of Medicaid kids directly from HelloHyde.org. If you were born through the Medicaid program, get your #HelloHyde nametag and tweet a photo of your own! Tweet state-by-state Hyde Amendment statistics directly from HelloHyde.org. Tweet quotes from our press release. 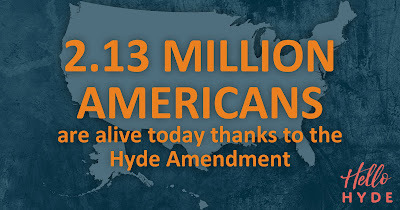 The Hyde Amendment has saved 2.13 million lives, or roughly 1 out of every 200 Americans. If you were born through the Medicaid program in a state where the Hyde Amendment was in effect, there is a 1 in 9 chance the Hyde Amendment saved your life. Retweet from Secular Pro-Life, the Charlotte Lozier Institute, the March for Life, and other pro-life organizations participating in the #HelloHyde tweetfest. Get creative! Using the 1 in 200 statistic, estimate how many people at your school or workplace are alive today because of the Hyde Amendment. Link to blog posts and news articles about threats to the Hyde Amendment. Talk about what the Hyde Amendment means to you. The people here today because of the Hyde Amendment are worth celebrating. We will not back down! Cross-posted from the #HelloHyde campaign. In recognition of the 40th anniversary of the Hyde Amendment this Friday, the Charlotte Lozier Institute has released a new analysis of its life-saving impact. The Hyde Amendment is a federal budget rider that restricts taxpayer funding of abortion through the Medicaid program. It was first passed on September 30, 1976. Since then, it has prevented 2.13 million abortions, according to the report. That's approximately one out of every 200 Americans, or the equivalent of the entire population of New Mexico. Two million lives saved is reason to celebrate. The Hyde Amendment is popular not just with pro-lifers, but with a majority of Americans – people of diverse backgrounds and beliefs who all agree that forcing taxpayers to fund abortion is wrong. But 2 million deaths averted is bad news to the abortion industry and its allies, and the Hyde Amendment is under unprecedented assault as its 40th anniversary approaches. Now is the time to redouble the nation’s commitment to one of our most effective tools for protecting unborn children and the freedom of conscience. For years, advocates both for and against the Hyde Amendment have operated under the assumption that the Hyde Amendment has prevented "over a million" abortions. That rough estimate came from a 2010 report by the Center for Reproductive Rights, and is now out of date. The Hyde Amendment has saved twice as many lives than previously thought. The Charlotte Lozier Institute report contains a state-by-state analysis of the number of individuals alive today because of the Hyde Amendment, accounting for variations in state law over time. In a handful of abortion-friendly states, activist judges have undercut the Hyde Amendment by requiring state (rather than federal) funding of abortion for women on Medicaid. We are pleased to provide social media memes highlighting the key findings from the Charlotte Lozier Institute report. We encourage supporters of the Hyde Amendment to share them widely, especially on September 30, and to use the hashtag #HelloHyde. Today's guest post is by Lauren Handy. 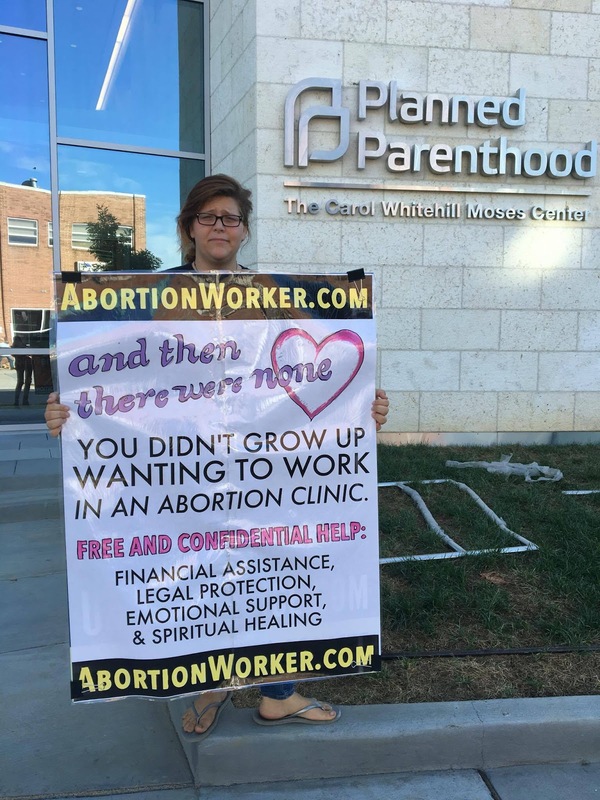 She recently did some research and determined that the entire front lawn outside the Planned Parenthood facility that just opened in Washington, D.C.—right up to the door—is public property, open to pro-lifers offering alternatives to abortion! We asked Lauren to share the story of how she figured this out, in the hope that it will help others across the country to make the most of their First Amendment rights. Here's what she had to say. Activist: Well, officer, this is public property. I'm allowed to stand here. D.C. Officer: And what authority are you speaking on? Activist: Chapter 5, Title 3A, Sub 1(d). If I had a quarter for every time I had this conversation, I would be able to afford my metro fare. 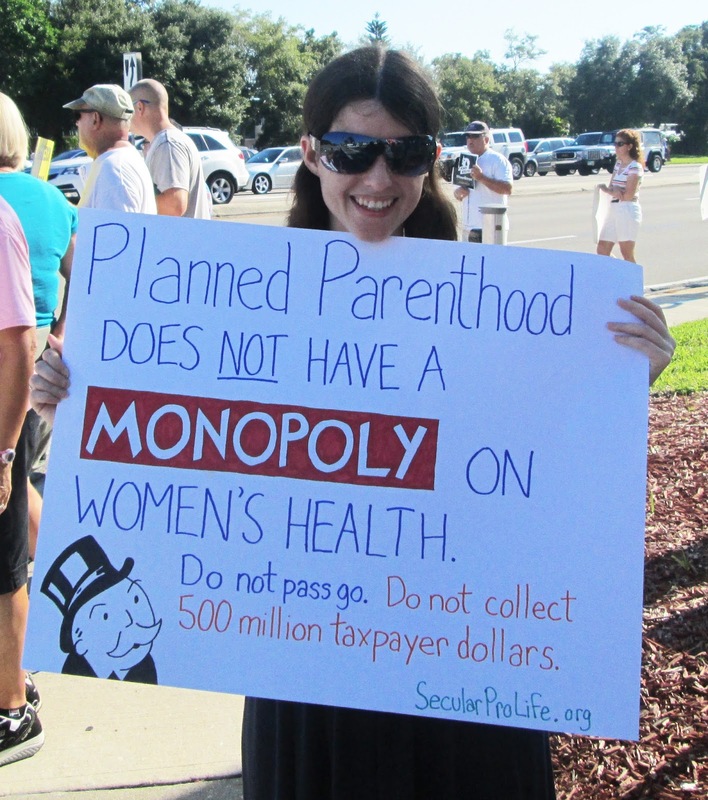 But alas, I only get stares from onlookers and a grumpy Planned Parenthood staff. Yet it's worth it, because when you know the full scope of your rights, you become an empowered and effective activist. I know what you're thinking: How did Lauren learn all of this? Well, I was trained under Survivors of the Abortion Holocaust, and I have personally had over 400 saves (meaning I helped change a mother's mind and the baby was saved from abortion). I want you to have the same success so today I'll share with you some of my tips and tricks! As a disclaimer, I am not a lawyer. BUT I am a person whose traveled to 30 states for pro-life work and I've found more often than not these situations will be the same. Lauren on public property outside the D.C.
As the D.C. Planned Parenthood construction site was being finished, I noticed a manhole or water utility on the grass. I was so shocked that I started dancing on it. I thought: "This is it! This is how we will take down Planned Parenthood!" And now you're thinking, is she always this dramatic? Well... yes, I am, but finding these gems is very important during your outreach. Manholes, fire hydrants and water utilities are all government owned. This means it is public property, making it a traditional public forum, a.k.a. you can stand there and be closer to the door! When you go to your local abortion facility, scan the area for these telltale signs. It helps you gain sidewalk counseling ground which makes you more effective. Often you have 2-5 seconds to convince a mother not to kill their baby, but for every foot you add to where you can stand, add a couple more seconds. In crisis intervention you are racing against the clock and every second counts. Now that I have identified new public property, I need to get proof. Our word is never enough, so I had to get a map. Specifically, an official map, that holds the weight to back up the claim. Finding your map is fairly easy. Your key word in finding them is PLAT. First, you Google the name your city or county with the words "plat map." In this case I googled "D.C. plat map" and it brought me to the government's board of property page. I got the office's address and made my way to the official surveyor's office. I told them the Planned Parenthood address, and boom I now have my official map! So now when I begin my sidewalk outreach at the new Planned Parenthood, I'll have all that I need to prove I can stand on the expanded space. I have used this tactic in Silver Spring, MD, San Bernardino, CA, and at another D.C. abortion facility as well. It works and you gain confidence as an activist as well. Now for a last quick tip: laminate your map and make multiple copies. You never know what will happen. I have had my map ripped, sprayed by a hose, and worst of all, lost it in my tornado of a room. So having more than one is a godsend. In the end, I cannot stress enough how important it is for you to use every tip and trick you can when sidewalk counseling. It saves lives and protects mothers and families from the scourge of abortion. Helping people is my mission in life, so if you have any comments or questions please send them my way! I do not take divorce lightly. I generally think "til death do us part" should mean til death do you part, and if you can't handle that, don't get married. But of course, there are exceptions. I would never counsel someone to stay with an abusive spouse, for example. And if your spouse threatens your child? Divorce is on the table. My husband and I have two children, and I was very happy with that. When I got unexpectedly pregnant with our third, I wanted an abortion and even made an appointment. He wanted to keep the baby and threatened to divorce me if I chose otherwise, and I acquiesced. Now our daughter is 2, and I regret keeping her and resent him. How do I get over it and become comfortable with our life as a family of five? This is a tough situation. She says she regrets "keeping" her daughter, but it doesn't sound like she wishes her daughter were dead, either. She's not a bad person; she's just struggling. Her clearly stated goal is to "become comfortable with our life as a family of five." It sounds like she needs someone to talk to, but without more information, it's hard to know how best to meet her needs. When it comes to your husband, I’m not sure that your goal should be to “get over it” and become comfortable with him again. Here’s a man who pressured you into having a baby he knew you didn’t want by threatening to divorce you. What a ghastly, cruel, controlling thing to do. I don’t know if you are financially or emotionally prepared to leave him, especially with several young children at home, so I don’t want to tell you flat-out that you should leave him right now, but I don’t think you should be looking for reasons to forgive and forget what he did. His behavior was unconscionable, manipulative, and selfish, and I don’t think he could possibly be a good partner for you. I give Ortberg points for following the party line; she truly believes that abortion and birth are morally equivalent. As a result, she treats the act of saving a baby's life with the same contempt that I would treat a man who coerced his partner into an abortion. She manages to completely ignore the fact that a little girl would be dead if not for this man's actions. In the span of a few short sentences, she pivots from saying kind, loving things about the daughter, to calling the daughter's literal savior a cruel, manipulative, unforgiveable, unfit partner. And the very act of saving their child's life is what makes him such a monster in Ortberg's eyes. The mental gymnastics are startling. To be clear, a divorce threat should never be the first option. Most women who abort, abort out of fear. The best approach is to talk it out, provide reassurance and understanding, and share the load. But it's possible he had already tried that and failed to persuade her. 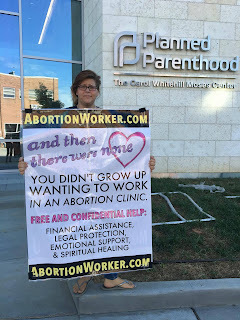 She made an abortion appointment; their child's life was in imminent danger. The threat of divorce may have been the only card he had left to play. Or maybe it wasn't really a "threat" at all. Maybe—and I know someone with a mindset like Ortberg's has a tough time imagining the pro-life perspective, but hear me out—maybe he just couldn't stay married to someone who arranged for the killing of their child, and thought it only fair to let her know that. You wouldn't stay with someone who killed your newborn, would you? It's the same to us. The anniversary of Roe v. Wade—January 22—is four short months away, and we're already making plans. Note that the 2017 March for Life in Washington, D.C., will be delayed due to the presidential inauguration, but the Walk for Life West Coast will take place on the usual date. That means that the observance will take place over two weekends, not just one. Evening: We will join forces with the San Francisco chapter of Pro-Life Future for a night of fundraising, socializing, and... drum roll please... karaoke! Details TBD. Morning/Afternoon: Walk for Life West Coast. Meetup details will be posted on facebook. Afternoon/Evening: Volunteers needed to help set up for the Students for Life conference. All Day: Students for Life of America National Conference - West Coast. Secular Pro-Life president Kelsey Hazzard and the National Black Pro-Life Coalition's Christina Bennett will finally give the presentation we were supposed to give last year before the snowstorm ruined everything, not that we're bitter. Come learn how to make your pro-life group racially and religiously inclusive! Featuring funny/offensive "what not to do" skits. Also, Secular Pro-Life will have an exhibit booth, so say hello and get free stuff. Registration required. Monday, January 23 through Thursday, January 26, 2017: TBD, possible strategy meetings, sidewalk counseling, volunteering, etc. in San Francisco and/or Washington, D.C. We welcome your suggestions in the comments section! Morning/Afternoon: March for Life. Meetup details will be posted on facebook. All Day: Students for Life of America National Conference - East Coast. Same as above, but the east coast conference is traditionally the larger of the two. Registration required. In 2015, when officials at Claflin University in South Carolina learned senior honors student Kamaria Downs was pregnant, they kicked her out of the dorms and told her to move off campus. "I was taken aback," the now 23-year-old elementary school teacher from Greenville told NBC News. "First, I wasn't even sure how they found out, and second, they were not offering me any type of housing." For Downs, who had pre-paid for her dorm room and meal plan, living at home more than two and a half hours away from her Orangeburg school wasn't an option. So she ended up living with a professor, and wasn't refunded for her dorm costs. But after graduation, she fought against the discriminatory policy at the small historically black college — and won. ... Claflin spokesman George Johnson Jr. told NBC News that the university "appreciates" Downs for "bringing her concerns to our attention" and its new policy is "consistent with our ethical commitment to treat everyone equitably and respectfully." It's noteworthy that Claflin is a Methodist college. The Methodist Church is a pro-abortion denomination, but has taken some steps in the right direction recently. Claflin's new understanding that it has a moral obligation to accommodate student parents is encouraging. Also encouraging: Feminists for Life reports that it has reached out to Claflin to help it implement appropriate policies. FFL is a leader on this issue, having hosted pregnancy resource forums on campuses across the country for close to twenty years. If your school is discriminating against pregnant/parenting students, or even if it isn't but you want to improve your school's resources, we encourage you to contact FFL and/or Students for Life of America's Pregnant on Campus initiative. The Women in Secularism conference will be held in Arlington, VA this weekend, from Friday, September 23 through Sunday, September 25. The conference will cover a wide array of worthy topics, including the tension between safe spaces and free expression, a panel on "Women and Science," and a presentation about women resisting ISIS. 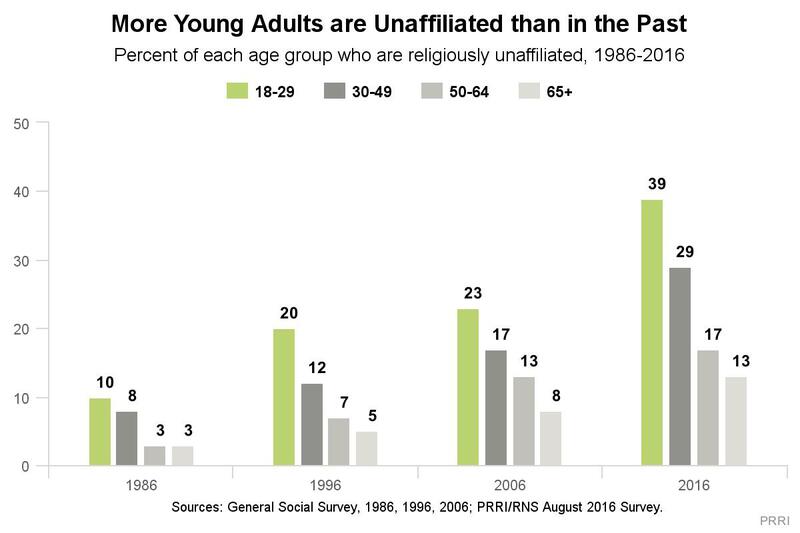 But sadly, this conference refuses to recognize the existence of millions of non-religious pro-life women. The conference homepage characterizes laws protecting the right to life as "the intrusion of religious dogma on women's lives," reflecting a false stereotype about pro-life motivations. Pro-choice author Katha Pollitt will speak on Sunday afternoon, and if her previous writings are any indication, she will reinforce that false characterization of who pro-lifers are. If you're a secular pro-life woman and you're tired of being misrepresented—show up! I'm pleased to report that although Secular Pro-Life is unable to make it, our friends from Pro-Life Humanists will be there. Look for Kristine Kruszenicki (pictured right). Registration is just $50 for students. Unfortunately, it's close to $250 for non-students... which is more than a little ironic considering that one of the presentations is entitled "Class and the Secular Movement: Why Class Matters." But I digress. Bashing pro-choice obliviousness may be fun, but it's not particularly productive. The real key is to develop respectful relationships, and that starts with face-to-face time. Kudos to Pro-Life Humanists for making that happen. I do not intend this article to examine the morality of euthanasia. Instead, this article has been inspired by a recent event in England in which Charlotte Fitzmaurice fought in court for the right to kill her severely disabled child, Nancy -- and won. To be sure, the situation was very difficult. Nancy was born with several debilitating ailments and had a quality of life much lower than the average human being. But the part I specifically want to focus on is that arguments for euthanasia often mirror arguments for abortion. Nancy was a severely disabled girl of 12 years old. She was not dying, but she required constant care and was in constant severe pain. In short, Nancy was euthanized because she was disabled, which is the same reason that a large number of unborn children are aborted. Now, it may be that in very rare cases, it might be permissible to end someone's suffering if they are in constant severe pain and there is no way to alleviate it, and no hope is in sight of curing them. I'm not writing this to examine the ethics of euthanasia, in and of itself. But the language used, like in the abortion debate, can obfuscate what really matters in the issue. One glaring example is that in the article linked above, Charlotte said "my daughter is no longer my daughter, she is now merely just a shell." She goes on to say, "The light from her eyes is now gone and is replaced with fear and a longing to be at peace." This second statement contradicts her first. If she is just a shell (in other words, a body with no soul, or no "animating factor"), then she wouldn't have longing or fear in her eyes. A corpse cannot feel pain, nor could it communicate (verbally or non-verbally) if it did have physical pain or discomfort. So her child was not merely a shell. She is dehumanizing her child based on "the light" (whatever she means by that) being gone. Another example of obfuscating the moral issue is when a parent of a severely disabled child (or adult, or elderly person) claims they are putting the person to death for them, but are really putting the other person to death because they are too much of a burden (sometimes it's even explicitly stated that the person in question will be too much of a burden). In this specific case, Charlotte was very distressed (and rightly so) by her child's situation. I don't doubt that in this specific case, she did what she believed was best for her child, although her claim that she desired her child to be free from pain is undermined by the painful way Nancy died. When we kill a death row inmate, we don't starve them. We give them a lethal injection. However, in many circumstances when a child has a severe deformity, they are allowed to be put to death. I am reminded of one such case in the United States in 1984, in which a baby (nicknamed Baby Doe by the media) was born with Down syndrome and tracheoesophageal fistula, and the obstetrician recommended the family not pursue treatment, since there was only a 50% chance of the baby surviving the surgical repair, and the prospects of the child were bleak if he did survive surgery. The family decided not to pursue treatment, but their family doctor opposed this plan and took them to court to try and save the child. The court ruled in favor of the family and the child died of starvation. This decision was such a breach of ethics that it caused the United States to pass the Baby Doe Law, in which they proclaimed that assessments of a baby's quality of life are not valid reasons to withhold basic care (e.g. food and water). The problem with reasoning like this is once you start down the path of determining in which situation one should be allowed to die, even against one's expressly stated wishes, there is no end to where it could end up. Once you open that door, it's a small step to finding other, less severe disabilities that you deem not worth living, euthanizing people who have those disabilities against their wishes. Of course, euthanizing disabled people because they are disabled does not sit right with disabled persons advocates. It's essentially a case of non-disabled people making determinations about which disabilities are worth living with and making determinations about who lives and who dies based on those determinations. Even more sickening is the fact that leftist sites are praising the decision. Salon called it "powerful" (and let's be honest, it is a decision a powerful person makes over the life of a powerless person). Yahoo News calls it a fight to let her daughter "die in peace." These cheerleaders fail to consider how acceptance of "euthanasia" affects the broader disabled communities; if killing becomes acceptable, it dramatically reduces the incentive to find cures. The parallel here should be pretty obvious. Killing a child outside the womb for reasons of severe deformity is no different than killing a child inside the womb for that same deformity. But now, even though the child is outside the womb and is uncontroversially considered a person, they are still allowed to be killed for reasons of deformity. This indicates that society has deemed persons with that deformity as not true persons, because one can be killed simply for having that deformity. And if an unborn child has a deformity that they are killed for (e.g. Down syndrome), then what we are really saying is that it is better to be killed than to have to go throughout life with certain disabilities, even Down syndrome, which is not seen as a debilitating disability, and people with Down syndrome grow up to lead productive lives and are some of the happiest and kindest people you'll ever meet. But society has deemed their lives not worth living because they allow us to kill them while still in the womb. Arguments about "quality of life" (and related arguments about "drains on society") are utilitarian arguments that have no place in a civilized society. Dying with dignity is about how one faces death, not about how one dies. Everyone must die -- there is no dignity in ending your life early to avoid having to go through it. The Equal Rights Institute was founded by Josh Brahm to "train pro-life advocates to think clearly, reason honestly, and argue persuasively." Josh is a Christian who makes the pro-life case from a secular position, and he has always maintained a good relationship with Secular Pro-Life. [Disclosure: SPL president Kelsey Hazzard is on the ERI board of advisers.] His ability to connect with people with differing beliefs extends to his conversations with pro-choicers as well, which is a big part of what makes him so effective. For years, Josh has toured the country giving training seminars to pro-life groups, covering everything from the basics of respectful engagement to the distinction between the "right-to-refuse" argument and the "sovereign zone" argument. He's worked especially closely with Students for Life of America, both speaking to campus leaders and training SFLA staffers to give presentations of their own. But all that traveling is inefficient, so ERI has taken the logical next step. While I have not yet had the opportunity to watch all the videos (and I understand more content is coming), I definitely recommend checking it out, especially if you are fairly new to the pro-life movement. Something like this would have been incredibly valuable to me when I first got involved in the pro-life movement as a college student. I made my share of mistakes in my early debates with abortion supporters, and while I don't think I did anything terribly egregious or caused lasting damage, I definitely wasted a fair amount of time reinventing the wheel when I could've had a V8 learned a thing or two from my elders. ACTION ITEM: Submit a comment on the proposed HHS rule here. Comments are due before midnight on October 7, 2016. The federal Department of Health and Human Services released a proposed rule that is quite obviously intended to siphon Title X funds to Planned Parenthood. The rule would prohibit states from prioritizing funding for its own health departments or federally qualified health centers over Planned Parenthood. The HHS writes: "Some states have employed a tiered approach to compete or distribute Title X funds, whereby entities such as comprehensive primary care providers, state health departments, or community health centers receive a preference in the distribution of Title X funds." This, HHS believes, is a problem, because "experienced providers that have historically served large numbers of patients in major cities or geographic areas have been eliminated from participation in the Title X program." This is so obviously about Planned Parenthood that HHS's resistance to writing the words "Planned Parenthood" is laughable. They finally say the name in Section C, "Litigation." Ten lawsuits are cited; all ten were brought by Planned Parenthood. HHS argues that "On average, an individual FQHC serves 330 contraceptive clients per year and a health department serves 750, as compared to specific family planning providers that on average serve 3,000 contraceptive clients per year. To exclude providers that serve large numbers of clients in need of publicly funded services limits access for patients who need these services." What this argument misses is that those "specific family planning providers" (again, please just say Planned Parenthood, we're not stupid) are wildly outnumbered by FQHCs and health departments. With so many more locations, FQHCs and health departments are in a better position to help a greater number of people access contraception. But they've barely gotten an opportunity to show it, because Planned Parenthood has historically gotten the money, and keeps suing to claim entitlement to FQHC and health department family planning funds. Under the proposed rule, a tiering structure—described above—would not be allowable unless it could be shown that the top tier provider (e.g., community health center or other provider type) more effectively delivered Title X services than a lower tier provider. In addition, a preference for particular subspecialty providers would have to be justified by showing that they more effectively deliver Title X services. Furthermore, actions that favor 'comprehensive providers' would require justification that those providers are at least as effective as other subrecipients applying for funds. The proposed rule does not limit all types of providers from competing for subrecipient funds, but delimits the criteria by which a project recipient can allocate those funds based on the objectives in Title X. (emphasis added). Note that this requires a judgment about who is already serving the most people, not a judgment of whether a higher-tier provider could effectively serve Planned Parenthood's former clientele if given the funding to do so. A state legislature would not be permitted to consider, for instance, a long-term goal of eliminating Planned Parenthood's dominance of women's health care with the aim of ensuring that low-income women can feel comfortable receiving care regardless of their political stance on abortion. Notably, low-income people are less "pro-choice" than their wealthy counterparts. Planned Parenthood has become increasing political, and plans to spend a whopping $30 million on the upcoming election. 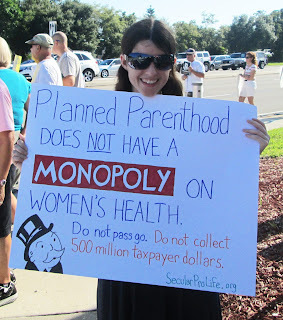 Legislatures would also be prohibited from considering the experiences of other states that Planned Parenthood has defrauded. In fact, it sounds like they couldn't even consider Planned Parenthood Medicaid fraud in their own state, because Texas is one such state, and HHS specifically calls out Texas' tiered system as an example of what they are trying to ban. That's insane. The rule is still just a proposal, but we need an overwhelming demonstration of opposition if we're to have any hope of stopping it. Rep. Diane Black put it well when she said: "We must use the full force of Congress and the grassroots strength of the national pro-life movement to defeat this absurd rule and prevent the Obama Administration from acting unilaterally to carry out political favors and prop up a scandal-ridden abortion provider." Please submit a public comment on the proposed HHS rule here. Comments are due before midnight on October 7, 2016. As the "Litigation" section makes clear, the proposed rule is an obvious attempt to give Planned Parenthood preferred access to Title X funds. This is terribly misguided. First, by making funding contingent upon which provider is *currently* serving the most individuals, instead of which providers *could* serve the most individuals if given sufficient Title X funding and time, the proposed rule would encourage monopolies and make it next to impossible for new providers to receive funding through the program. Second, the proposed rule would make it unlawful for a state legislature to consider the potential health benefits, in the long term, of ensuring that a politically active entity is not the dominant provider of women's health care in the state. Planned Parenthood's stance in favor of unrestricted abortion is widely known, and is borne out by multi-million-dollar election expenditures. But the low-income individuals Title X is intended to serve are considerably less "pro-choice" than their wealthy counterparts; in fact, it's a 17-point difference. Gallup 2013, http://bit.ly/2c3QURF (58% of people with a household income of $75,000+ identified themselves as "pro-choice," compared to 41% of people with a household income of less than $30,000). By eliminating states' ability to prioritize funding for entities other than Planned Parenthood, pro-life low-income women could be forced to either receive care from a provider they strongly distrust, or forgo care entirely. Although I am no longer low-income, I can assure you that during the time I was a student and unemployed, I would not have been caught dead walking into a Planned Parenthood for my gynecological needs. I was fortunate to have adequate care from other sources. All women deserve that, and FQHCs and health departments are in the best position to provide care to women regardless of where they fall on the political spectrum. Third, the proposed rule would make it unlawful for a state legislature to take into consideration the Medicaid fraud perpetuated by Planned Parenthood. Texas' exclusion of Planned Parenthood from Title X funding was partially in response to such fraud, which resulted in a $4.3 million settlement. Planned Parenthood Medicaid fraud has also been uncovered in Iowa and Wisconsin, and it is unknown how many other states are currently victims of such fraud. HHS' zeal to protect Planned Parenthood in this situation could lead to significant waste of taxpayer funds. For all of these reasons, I strongly oppose the adoption of this proposed rule. The most significant concert will take place at the Wolstein Center in Cleveland, just fifteen minutes from the Preterm abortion business that killed 22-year-old Lakisha Wilson and her baby in a botched abortion in 2014. Sia is the headliner. Students for Life of America is organizing a protest to ensure that the media sees young people who don't buy into the pro-abortion hype. Secular Pro-Life's officers are unable to make it to Cleveland, but we strongly encourage our members to participate. If you go, we particularly encourage you to carry a sign memorializing the Wilsons, or, if applicable, a sign identifying yourself as a non-religious pro-lifer. (Additional sign ideas are available here.) If you can't attend in person, your donations to Students for Life of America are appreciated. September 10 is also the National Day of Remembrance for Aborted Children. Over the years, as pro-lifers have recovered the remains of abortion victims, those remains have been interred at sites around the country. There are 50 abortion victim burial sites and several hundred non-interment memorials in the United States. 149 sites will host a memorial service on Saturday. Note that the memorial services are likely to include prayer and other religious content. However, people of every religious faith and none can participate in this remembrance by leaving flowers at their nearest grave or memorial. It's possible to do both. There is a grave for abortion victims in Sandusky, OH, just an hour from Cleveland. No memorial service is scheduled there, so you can go any time. The Cleveland protest doesn't start until 5:00 p.m.
Teresa quotes!" and I'm in the middle all "Awwwwkward..."
The most serious of the many criticisms against Mother Teresa is that the clinics she ran for the poor in Kolkata failed to meet basic standards, "allowing practices like the reuse of hypodermic needles and tolerating primitive facilities that required patients to defecate in front of one another." In addition, volunteers allege that "workers with limited medical training administered 10- to 20-year-old medicines with patients, and blankets stained with feces were washed in the same sink used to clean dishes." We don't tolerate those kinds of reports when the subject is Kermit Gosnell, or Planned Parenthood of Delaware, or James Pendergraft, or Stephen Chase Brigham, or... you get the idea. The pro-life movement is quick to condemn unsanitary abortion facilities; failing to address similar conditions when discussing Mother Teresa is hypocritical. Granted, some problems are to be expected when a medical clinic first opens in a developing country with few resources. Maybe Mother Teresa's clinic wasn't any worse than what was already available there at the time. But once you become an international icon and inspire people to donate millions of dollars to the cause, improvements should come swiftly. Instead, it doesn't appear that serious reforms were implemented until after her death. I understand why people are hesitant to criticize Mother Teresa. It's not like I've uprooted my comfortable Western life to minister to the most downtrodden people in the world, so how can I possibly judge her? And there's no question she articulated the pro-life position very well when she famously said: "Any country that accepts abortion is not teaching its people to love, but to use any violence to get what they want." Nor was it just talk; her adoption program saved thousands of children from abortion. 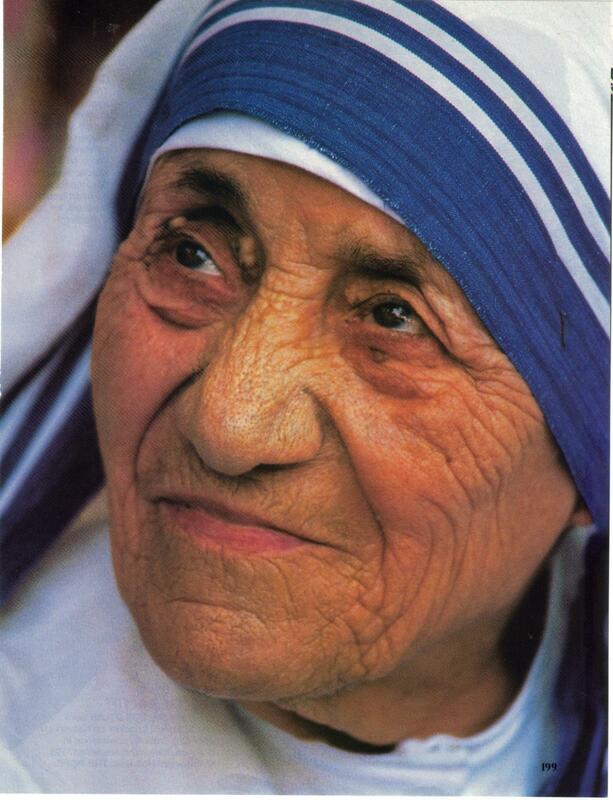 I don't want to disrespect anyone who owes his or her life to Mother Teresa's efforts. 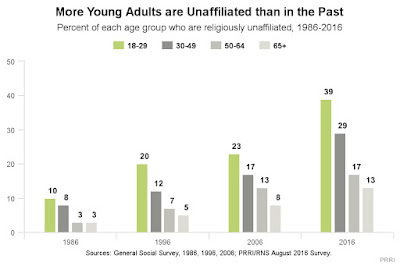 And obviously, if you're Catholic, everything I've just said is amplified by religious loyalty. The bottom line is that we have to engage honestly with the criticisms. If you dispute the veracity of the allegations, that's fine; make your case. But don't just ignore it or chalk it up to "those ridiculous liberals." Quoting Mother Teresa as a moral authority without any further analysis isn't going to cut it. Cognitive dissonance is a term that I often see misused, especially as I read (and engage in) online discussions. Cognitive dissonance is defined as "the mental stress or discomfort experienced by an individual who holds two or more contradictory beliefs, ideas, or values at the same time; performs an action that is contradictory to one or more beliefs, ideas, or values; or is confronted by new information that conflicts with existing beliefs, ideas, or values" (Leon Festinger, A Theory of Cognitive Dissonance, California: Stanford University Press, 1957, as quoted by Wikipedia). "According to Festinger, we hold many cognitions about the world and ourselves; when they clash, a discrepancy is evoked, resulting in a state of tension known as cognitive dissonance. As the experience of dissonance is unpleasant, we are motivated to reduce or eliminate it, and achieve consonance (i.e. agreement)." Cognitive dissonance is not simply holding contradictory beliefs. I often see this term thrown around at someone who simply holds beliefs that are in contradiction. But there could be many reasons someone holds contradictory views. Perhaps they just don't care enough to examine their own beliefs. Or perhaps they aren't particularly trained in logic so they haven't been shown how their views contradict. Cognitive dissonance, though, is the psychological stress one feels at realizing that two views they hold, or new information presented to them, are contradictory and cannot both be true. This can result in different outcomes, such as: selectively exposing themselves to information that only favors their view, selectively retaining information that pertains to their view and losing information that conflicts with it, devaluing the new information and keeping their old view, or devaluing the old information and changing their views (which is the desired outcome, if you're attempting to persuade someone). Think of a piano. If you walk up to a piano and press two notes that are a half step apart (C and C# work the best for this), it sounds grating, like nails on a chalkboard. This terrible sound is called a dissonance, and in composing music should be used very sparingly. The opposite is called consonance (when you play an interval or chord that sounds nice). This grating feeling you get when hearing a musical dissonance is comparable to the psychological stress someone feels when they realize they are holding contradictory views. This is why asking questions is so important. By asking someone questions, you might be getting them to evaluate their own views for the first time so that they can see for themselves the inconsistencies in their own views. It leaves more of an impact if they come to the conclusion themselves rather than having you tell them. This happens fairly often at my pro-life outreaches. People rarely change their minds on the spot, but in time their cognitive dissonance may give them the push they need to reject their view and accept yours. One of the most common ways to expose inconsistencies in a pro-choice person's views is by trotting out the toddler (a technique developed by Scott Klusendorf of Life Training Institute). Many pro-choice people believe that abortions are justified in certain situations, such as when the family is in poverty or the mother doesn't feel ready to raise a child. But they, of course, would never accept this reasoning if a mother wanted to kill her toddler. By pointing this out and asking questions, inserting a toddler into the equation instead of a human embryo or fetus, we can shine a spotlight on someone's inconsistencies and help them realize the contradiction for themselves. Now, if a pro-choice person did not believe that the unborn are human persons (e.g. if she honestly believes the unborn entity is just a clump of cells or "blob of protoplasm"), then trotting out the toddler won't be helpful. You'll need to engage with her misunderstanding regarding human development. There will be no conflict, no cognitive dissonance, because her own views are consistent within her own mind; they are simply incorrect (i.e. they do not match what is actually true). For this reason, cognitive dissonance can actually be a good thing -- cognitive dissonance is what gets someone to reevaluate their views and possibly change them. Incidentally, this is also why asking questions is so valuable. The person you are talking to may never have actually evaluated their own views before, so are simply unaware of the contradiction they are holding. Of course, if you're trying to persuade someone, you want them to devalue the old information and value the new information you are giving them so they will change their mind. There are things someone can do to alleviate their cognitive dissonance that don't result in changing their minds, but at the least getting them to understand the inconsistencies in their own view is the first step in persuading them toward yours.